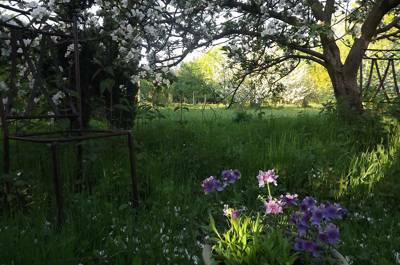 Go camping in Kent and you’ll find yourself in the Garden of England. Farmers’ fields, bountiful orchards, delightful chocolate-box villages and rustic age-old inns are yours to discover on a visit to this south-eastern county. But the countryside that earned Kent its nickname is not its only treasure. It also has 350-miles of coastline including the famous white cliffs of Dover, quaint little Whitstable and the regenerating seaside resorts of Margate and Folkestone. We think this heady mix of coast and country is best explored on a camping or glamping holiday – and we’ve found some reals gems to tempt you there. The short journey time from London, cross-Channel links and many hours of sunshine are simply the icing on the cake. From the Isle of Sheppy and the mouth of the River Thames round the great white horn of retro Ramsgate to the historic port towns of Dover and Folkestone, the coast of Kent is a vast and varied place. Whatever you're after, it's a great location for a camping holiday and there are plenty of coastal campsites to suit. Roman walls, a medieval centre and timber-framed homes; the architecture of Canterbury is as cobbled as its streets with the cathedral, the site of centuries of pilgrimage, at its heart. Today there is a loyal band of campers, too, who journey here every summer to pitch tents and park campervans at the campsites nearby. As always, only the very best of the Canterbury campsites make it onto our shortlist. The town of Dover has seen its fair share of history, with a 2,000-year-old castle to show for it, while the famous White Cliffs stand over it all – a popular walking point for campers in the area. There are ample tent pitching options nearby, too, with the very best Dover campsites making it onto our shortlist. More than just a Euro Tunnel stop, the seaside town of Folkestone in Kent has a pretty fishing harbour, public gardens and a clutch of decent independent shops. More importantly, Folkestone is is on the edge of the Kent Downs AONB making the local landscapes a boon for campers. As always, only the very best Folkestone campsites make the cut for our shortlist, so you can be sure of a special camping stay. The Victorian seaside town of Margate is back on the up, with a cool, vibrant, retro buzz that's making it the holiday destination of choice for those looking for an easy break from London. There are plenty of great campsites nearby, with only the very best making the Cool Camping shortlist. Campsites near Whitstable are never hard to come by and, whether it's spending sunny days on pebbly Tankerton Beach or eating fresh seafood by Whitstable Harbour, there's plenty in the area to keep you busy. Browse our favourite campsites in the area here. If you’re looking for the best campsites in Kent, you’ve come to the right place. We’ve sought out the top places to pitch in this south-eastern county from farm-based pop-up campsites to long-established gems on the coast. It’s a county with two rural areas of outstanding natural beauty and 350 miles of coastline so it’s a great place to enjoy the great outdoors. And there’s plenty to do on days out too with a world-famous cathedral in the historic city of Canterbury, historic houses and castles including Dover, Hever and Leeds, and plenty of family-friendly attractions too from wild animal parks to rides on heritage railways and, of course, trips to the seaside. You can even hop over to France or Belgium during a holiday in Kent – there aren’t many other parts of the UK that can rival that for a day out! Easily reached from London, Kent is as good for a weekend escape from the city as it is for a week of summer holiday fun and it’s been attracting campers for generations. 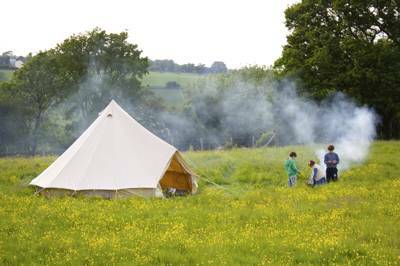 The glamping scene in Kent has also found its stride and there are some fabulous sites to choose from. Whether you want coast or country, a week or a weekend, camping or glamping, if it’s Cool Camping in Kent you’re after, you’ll find it in our collection. There’s a long history of camping in Kent, from the hop-picking holidays enjoyed by Londoners in the 19th century to the seaside holiday parks that sprang up along the coast in the 20th century. 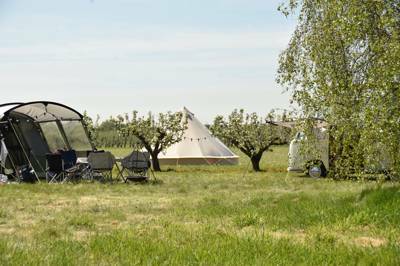 Nowadays, you can enjoy the Darling-Buds-of-May scenery of the fruit farms without any of the hard work by pitching your tent in one of the county’s many orchard or farm-based campsites. The holiday parks of some of the seaside resorts still exist but you won’t find these large-scale campsites listed with Cool Camping. We prefer smaller, independently-owned sites. Sometimes, these may be a little further from the coast than the prime locations snapped up by big-brand campsite owners, but they may also offer a little more charm and individuality. Camping purists would say there are many reasons why classic camping has the edge over other types of holiday. For starters it’s usually the best-value way to stay pretty much anywhere. Secondly, you get to stay as close to nature as it’s possible to be: you might hear birdsong in the morning and be lulled to sleep by the sound of waves on the shore or the wind rustling through trees. Following on from that, a camping holiday has a relatively limited effect on the environment so might be considered a sustainable or green way to get away. And, of course, there’s just the pure joy of camping: feeling smugly self-sufficient as you set up your base for the weekend whether that’s a little one-man tent with a survival kit or a vast, multi-roomed family tent with your own camp kitchen and all the gear. 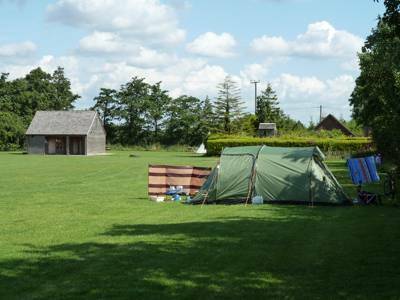 Whichever way you like to camp, there are plenty of campsites in Kent to choose from. 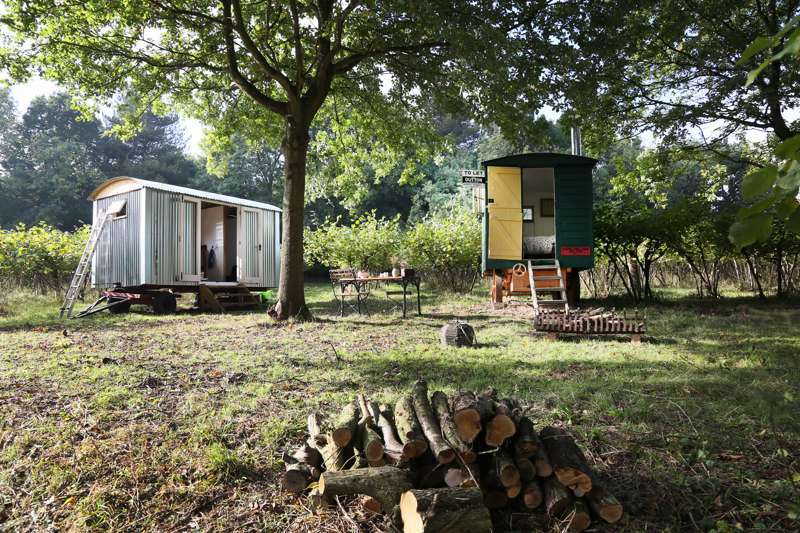 If you like a bit of comfort with your camping, how about glamping in Kent instead? You get to enjoy the great outdoors without the faff of pitching your own tent. This also means it’s great for anyone who wants to try camping without investing in all the gear. The range of glamping accommodation in Kent is ever-expanding and you can choose from simple bell tents to luxuriously kitted-out yurts. If staying under canvas is part of the point, you could also consider tipis and safari tents too. All are great options for summer glamping – and if they are fitted with a log-burning stove can work well in autumn too. Moving up the luxury scale, shepherd huts in Kent are a popular option and a fitting way to stay in a county that’s a patchwork of farmers’ fields. 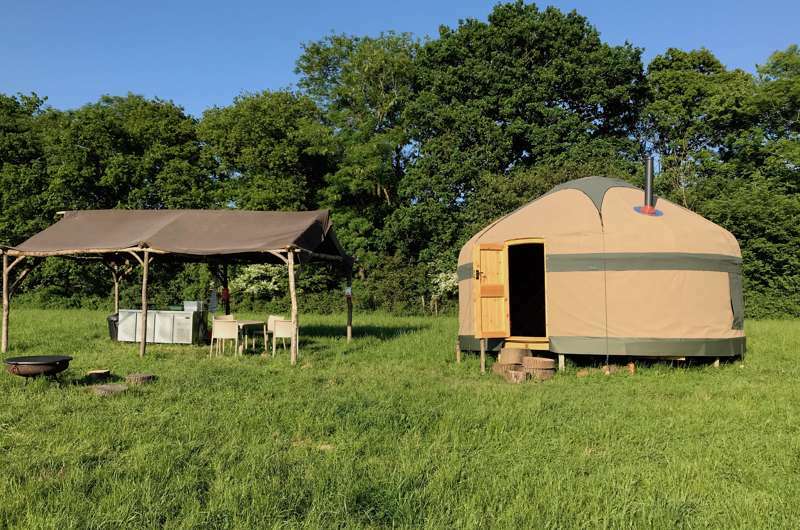 But if you want something even more quirky, look out for gypsy wagons, vintage vans, treehouses and geodesic domes – the range of glamping in Kent is ever expanding so who knows what will pop up next. If you’re camping outside of the summer season, you might prefer one of these more solid options and perhaps somewhere insulated and with a log burner to boot. One of the advantages of glamping is that extends the camping season in to the cooler months. The level of luxury varies from place to place so the choice is yours but make sure you know what to expect. 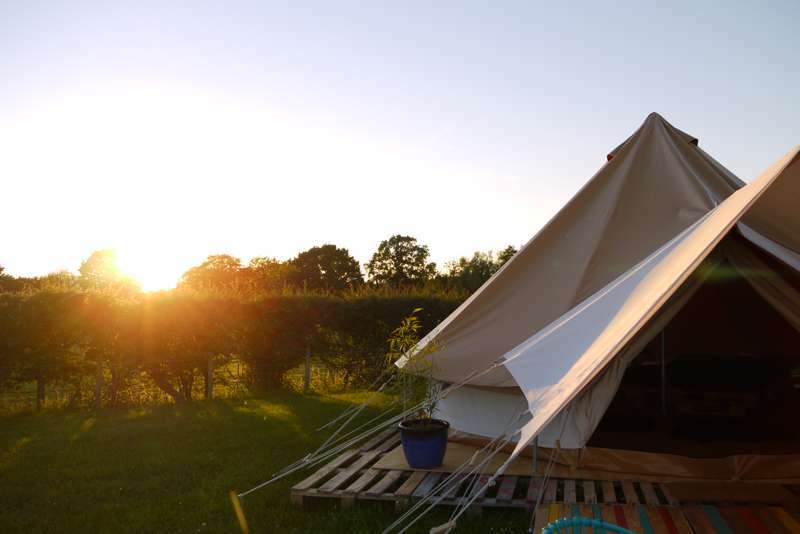 The more basic glamping sites will simply put the tent up for you but expect you to bring bedding while others will provide everything you need to stay from toiletries to fluffy towels. Camping and glamping are the ultimate family holidays. Kids just seem to love the adventure of it all – and who can blame them? All the routines of home are broken and you spend all day in the great outdoors before a barbecue dinner or perhaps a trip to the local pub, followed by a spot of stargazing and marshmallow toasting around the fire. Then there’s the sociable side of pitching up on a campsite. Before you’ve even pitched your tent, your kids are likely to have met the neighbours and sussed out who’s going to be their new best friend. But why not take your friends with you in the first place? Camping is a great way to holiday in a group with other families. Just ask for neighbouring pitches and the kids can amuse each other until bedtime then adults can stay up around the campfire chatting. 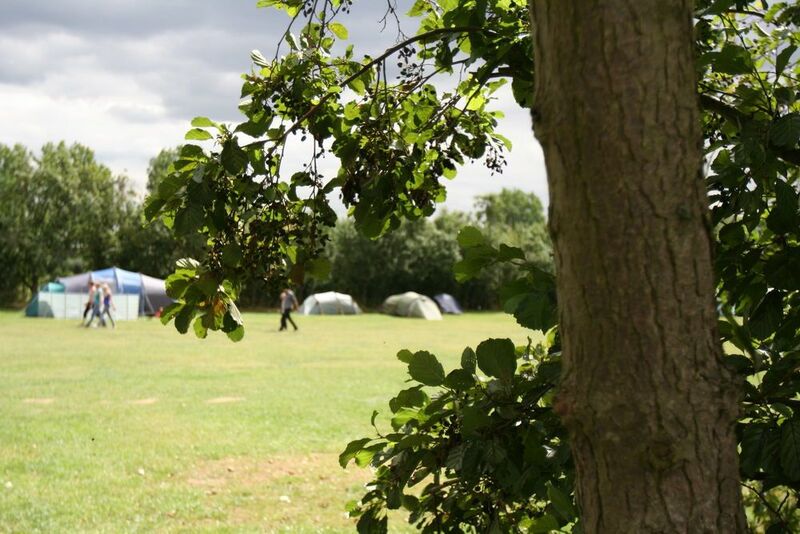 There are plenty of family-friendly campsites in Kent – some are inherently family-friendly in that they welcome campers of all ages and some will have special activities and facilities laid-on. Cool Camping campsites tend to be smaller, more independent places so may not have an organised kids' club but might have a few little touches designed to keep youngsters amused: a tree swing, a storytelling session around a communal campfire, pond-dipping or a forest-school lesson, perhaps. Kent also has lots of family-friendly attractions including its beaches, wild animal parks, castles and even a pint-sized heritage railway that’s just right for kids so you’ll never run out of things to do when you’re camping or glamping in Kent. The Kent countryside is a patchwork of farmland. It has no high peaks and is rather a landscape of gently rolling hills. Running from north west Kent, through the heart of the county to the Channel at Dover, are the Kent Downs. This chalk ridge is protected as the Kent Downs Area of Outstanding Natural Beauty with farmland, historic villages and ancient woodland making up the landscape. The North Downs Way, a long-distance national trail, follows the route of the Downs through Kent and on to Surrey. Camping in or near the Kent Downs will often mean great views from higher ground and good walking in the countryside – especially if you are near the well-marked North Downs Way trail. Kent also lays claim to part of the High Weald Area of Outstanding Natural Beauty, which it shares with neighbouring Sussex. Lying between the North Downs and the parallel chalk ridge of the South Downs, which meets the sea at Eastbourne, the High Weald is geologically different with sandstone underfoot. But there’s more undulation, ancient woodland and farmers’ fields here making it another great place to explore on a camping or glamping holiday. It's not all rolling hills in Kent though and around its edges you’ll find a different landscape. The south-west corner of Kent is Romney Marsh, a low-lying and flat area that was long-ago reclaimed from the sea, and more marshes line the Thames Estuary in the county’s north. Both are important wetlands for migrating birds and interesting places to visit or stay on a camping or glamping holiday in Kent. Kent’s coastline includes sandy bays, shingle beaches, working harbours and those towering white cliffs. Whatever type of beach floats your boat, you should be able to find it here. If you want to bask in the sun on a sandy beach, look for campsites near the sandy expanses along the edge of Romney Marsh or Broadstairs. If you want to picnic on the beach without sand in your sandwiches try the shingle beach at Hythe, Deal or Herne Bay. For surfing head to Joss Bay near Margate and for a taste of fresh seafood, how about Whitstable where oysters are the toast of the town? Dover’s white cliffs need little introduction (just think of Vera Lynne’s classic); you can’t beat them for a bracing walk with views out to sea and, on a clear day, across the 20 miles of Channel to France. The proximity has shaped the coastline here and there are plenty of historic sites to visit including the iconic cliff-top castle at Dover and Tudor fortifications a few miles down the road at Deal and Walmer. Kent is also home to Dungeness, a huge shingle spit, that’s technically the UK’s only desert and an internationally important habitat for birds, insects and plants. Its otherworldly landscapes are a bit of a love-it or hate-it location and attract many artists and photographers. Also popular with an arty crowd are Folkestone and Margate, once grand Victorian resorts which are being regenerated through the arts after decades of decline. Margate has a retro funfair, Dreamland, and the Turner Gallery while Folkestone’s Creative Quarter is a cobbled old high street of independent galleries, cafes and creative businesses. 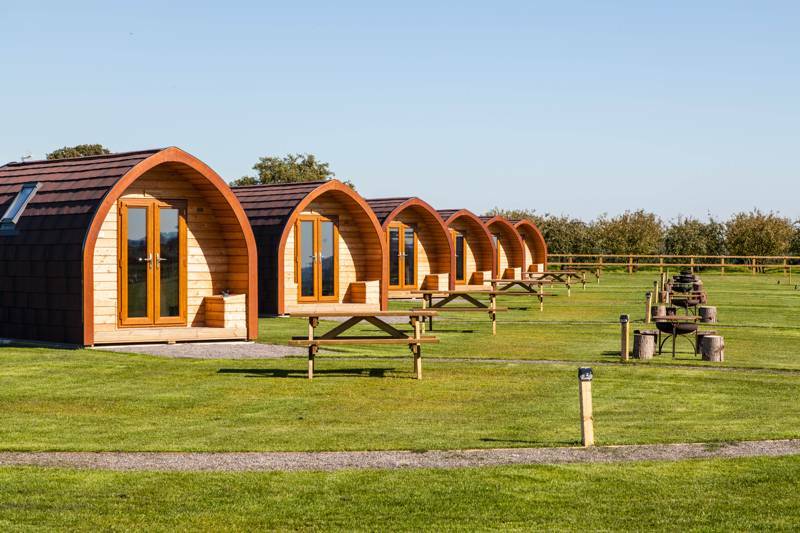 There are plenty of places to visit on days out during a camping or glamping holiday in Kent – so many in fact, that you may find yourself spoilt for choice. The beaches, as outlined above, are an endless source of mostly-free fun but away from Kent’s edges there are more attractions you may not want to miss. Historic houses and castles can be an all-round family favourite with gardens and grounds to explore, art and architecture to appreciate and, at many of them, activities for children laid on. Leeds Castle has a moat and a maze near Maidstone, Hever Castle has a fascinating history associated with Anne Boleyn and beautiful gardens year-round while Dover Castle is hard to beat in terms of location with a varied history of defence told through interactive displays. The stunning UNESCO-protected Canterbury Cathedral, where Thomas Beckett met his grisly end, is a must-see if you head to Canterbury. Guided punting trips on the river are a good way to learn more about the history of this pretty, medieval city. You can learn about Kent’s rural history at Kent Life museum, though adults may prefer to hear about one of its biggest and industries with a visit to Britain’s Oldest Brewer, Shepherd Neame in the historic market town of Faversham! The Romney, Hythe and Dymchurch Railway and the Kent and East Sussex Railways are two of five heritage railways in Kent which are all worth a visit and make for great family days out. There’s more family fun at Chatham Dockyard and the Rare Breeds Centre, home to rare breeds of farm animals with activities from cuddling rabbits to racing pigs! In fact, you’re spoilt for choice when it comes to animal parks in Kent. You can see exotic animals at the Aspinall Foundation’s conservation-based parks, Port Lympne and Howletts, head to Wingham Wildlife Park, with its focus on exotic birds, or Wildwood, where all the animals are native to British shores. For more ideas on days out in the county check out the Visit Kent website. 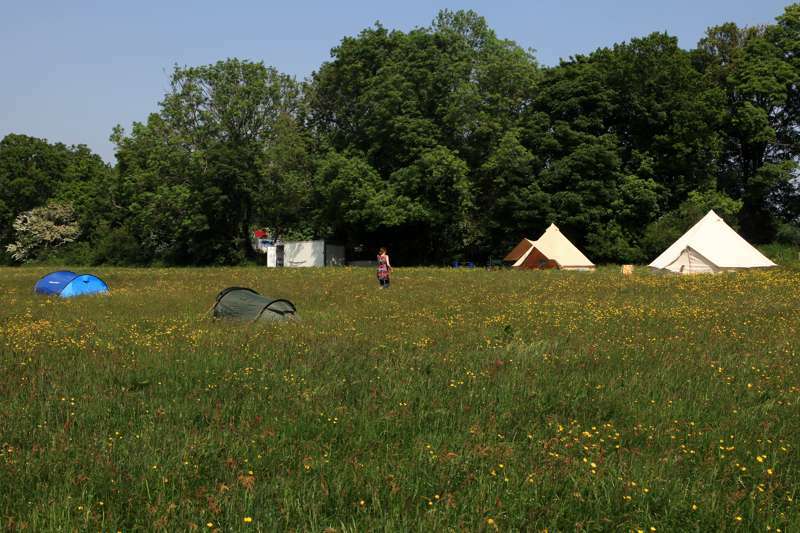 holidays in Kent camping campgrounds garden of england camping at Campsites in Kent, Our selection of campsites picks out the best camping in Kent, from luxury glamping in Kent to traditional campsites and small-scale finds, as well as all the many camping spots in between. Find the best camping site for you and book your holiday online at the best price.